We design and manufacture a broad range of high quality compact track loader ("CTL") and skid steer loader ("SSL") equipment, marketed through a distribution network in North America, Australia and New Zealand. We also serve as a private label original equipment manufacturer for several manufacturers. Our products are used principally in the construction, agricultural and forestry industries. As a full service manufacturer, we provide pre- and post-sale dealer support, after-sale technical support and replacement parts supplied from our dedicated logistics center. Our patented Posi-Track, with a rubber-tracked, multi-level suspension undercarriage system, provides a competitive market differentiator for our CTL product line with brand attributes of power, performance and serviceability. Our wheeled SSL models also share these common brand attributes. Our equipment is sold through an independent dealer network throughout North America, Australia and New Zealand. We own and operate from a 238,000 square-foot production facility located in Grand Rapids, MN. A.S.V. was founded in 1983 by forerunners of the early snowmobile industry, Polaris Industries and Arctic Cat, and in 1991 introduced the first Posi-Track rubber-track loader serving construction, agricultural and landscaping industries. 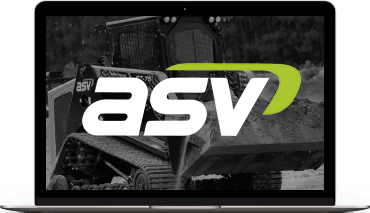 A.S.V., Inc. first launched as a publicly-traded (Nasdaq-listed) company in 1994, was acquired by Terex Corp. (NYSE:TEX) on March 3, 2008, and in December 2014, was reorganized as a joint venture when Manitex International (NASDAQ:MNTX) purchased 51% of ASV from Terex in a negotiated transaction. 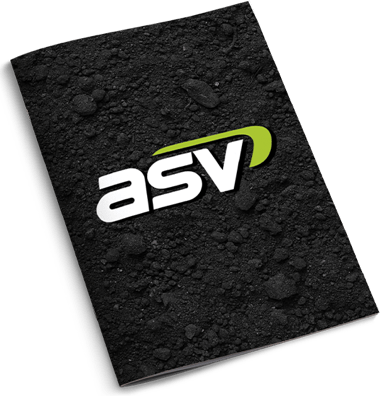 ASV Holdings, Inc. completed an underwritten IPO on May 17, 2017 in which the Company sold 1.8 million shares and Manitex sold 2.0 million shares ($7/share) to institutional investors. We are listed on NASDAQ under the ticker symbol "ASV".